to Set Your Senses Ablaze! Insured, Licensed, over a decades worth of Fire spinning experience. 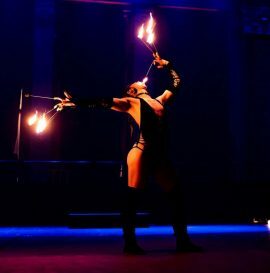 LBSpinnerZ ArtZ is a dynamic performance company based in New Haven, Connecticut specializing in Fire Performance. 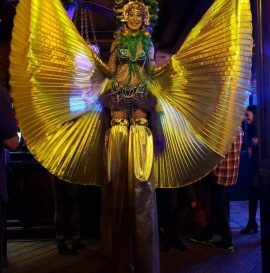 We have been specializing in fire shows since 2002 and service the Connecticut, New York, New Jersey, Vermont, Maine, New Hampshire, Massachusetts, Pennsylvania, and more. 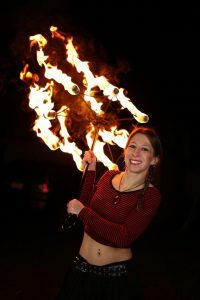 We offer incredible fire shows including fire hula hoop, fire eating, fire breathing, fire gyro doop, fire fans, fire sword, fire fingers, fire poi, fire orb, fire levi wand, fire rope dart, and more. 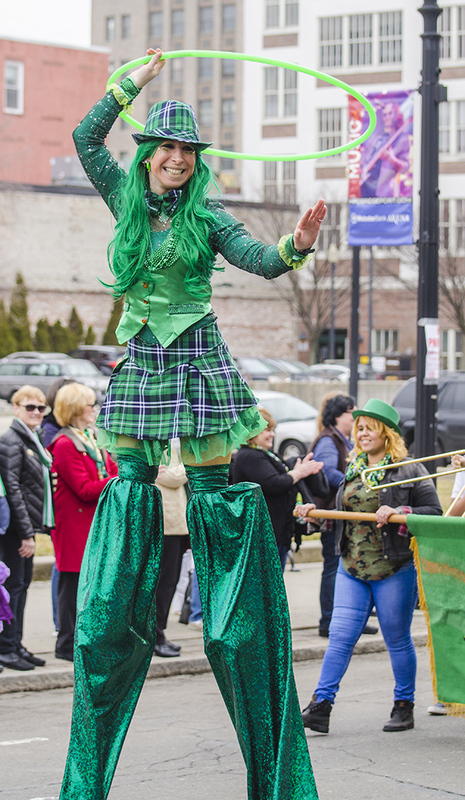 We also offer stilt walking, LED light shows, interactive lessons and play, Isis wings, circus props, and so much more. Fire shows dazzle and delight audiences of all ages. 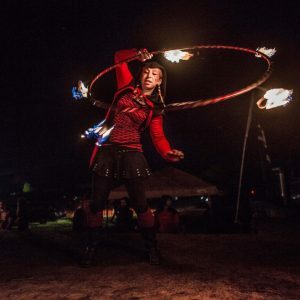 With props varying from the fire hoop, fire poi, fire fans, fire staff, the world's only fire bike, fire eating, fire breathing, and so much more.We are fully insured and Licensed with over a decade worth of experience. Let LBSpinnerZ ArtZ bring the party to you. No party is too big or too small. 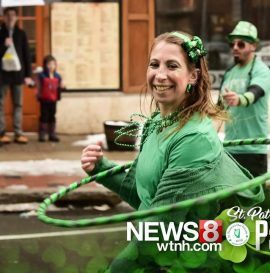 We can bring hoops, poi, sticks, or ribbon dancers to your next event. For children and adults of all ages. 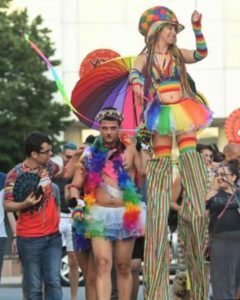 We also offer Stilts, LED Shows, Day Shows, Figure Modeling, Birthday Parties, School Groups, Weddings, Parades, Bar/Bat Mitzvah, and so much more. LBSpinnerZ ArtZ has performed all over New England, including CT, MA, NH, VT, NY, NJ, PA, ME, OH, MD. With over a decade worth of experience. 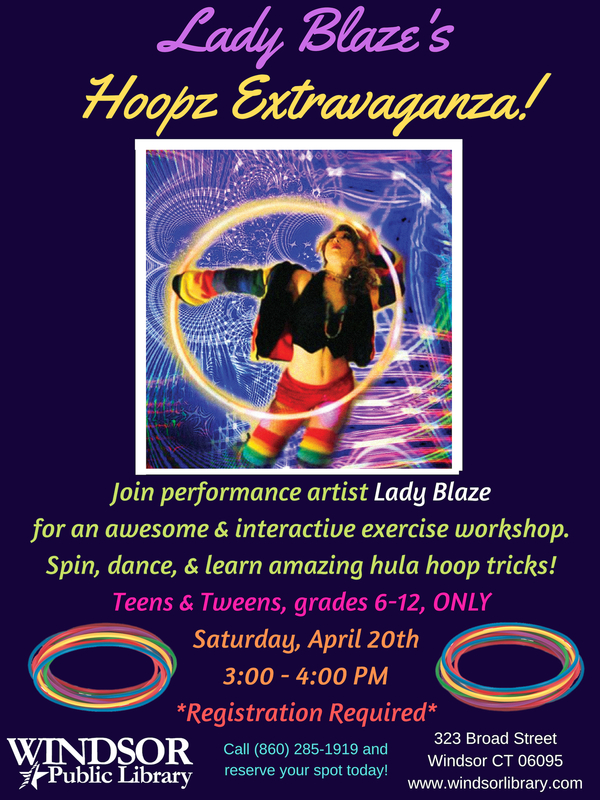 Let Lady Blaze dazzle your audience with 12+ different fire arts. With some new never before seen fire prop coming summer 2018. Just a few props include hoop, fans, poi, gyrodoop, fire eating, plus so many more. 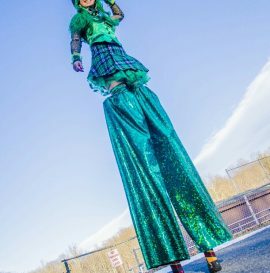 Lady Blaze may be under 5’ in real life, but on stilts she is 8’ tall and has several different glamorous costumes to make your next event or parade larger than life. Schedule is filling up. Book Lady Blaze now for your next event. 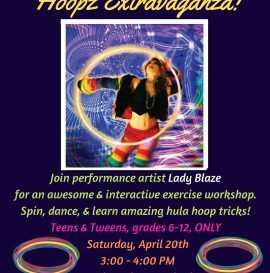 Learn different moves and skills from Lady Blaze at NEFA this June. Schedule to come buy your tickets now. 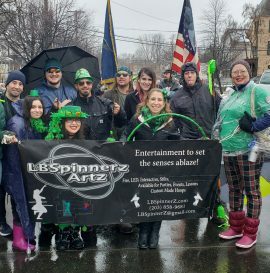 LBspinnerZ Artz will be spinning fire again this year in the greater new haven st Patrick’s day parade. Sunday March 11. Step off 1pm. .
Come out and play with LBspinnerZ Artz and many others as we look up! Sunday March 18.